NGO's call for Diet drink's aspartame to be dumped in favor of natural sweeteners. Safe food campaigning NGO's are once again calling for drinks and foods containing artificial sweeteners to be taken out of supermarket trolleys and 2010 school tuck-shops. Health Association of New Zealand and Safe Food Campaign point out that the sweetener aspartame in Diet drinks, and most sugar-free gums, is widely accepted to be dangerous and safe naturally derived alternatives are available. Following a campaign throughout 2007-8 by Safe Food Campaign, Health Association of NZ, and anti-aspartame campaigner Abby Cormack, there was a world first 5% drop in Diet drink sales and a 50% drop in chewing gum sales containing aspartame. Abby Cormack had suffered serious health problems following a high consumption of Extra gum and use of some Diet drinks. 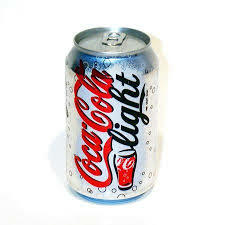 However, the NGO's are concerned that public relations work by Coca Cola may have lifted sales of Diet drinks containing the neurotoxic artificial sweetener aspartame again. Internationally the big two beverage manufacturers, Coca Cola and Pepsi are beginning to use new naturally derived stevia sweeteners in response to consumer demands. "While in our earlier campaign we were successful lifting public awareness about the dangers of aspartame it is important that those gains for peoples health are continued," said Abby Cormack. "It is disturbing that the government has reversed the healthy foods in schools program and allowed junk foods again. Neither the Diet labeled aspartame containing drinks or the heavily sugar laden drinks belong in school tuck shops. I don't wish my past health problems on anyone, least of all New Zealands children." "With the natural sweetener stevia already approved by Food Standards Australia New Zealand (FSANZ), there is no need to be selling aspartame containing foods and beverages in New Zealand," said Health spokesperson Steffan Browning. 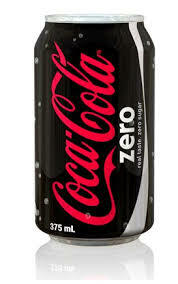 Health and Safe Food Campaign want junk drinks, especially those containing aspartame, out of schools for 2010. There is no need to compound the health issues such as obesity in New Zealand children by using neurotoxic and carcinogenic containing products in tuck-shops." Health promotes the use of natural sweeteners that fit its motto of "Healthy Soil, Healthy Food, Healthy People,' and aspires to an Organic 2020. Aspartame (951, Equal, Nutrasweet) is an artificial sweetener found in many products including diet drinks, sugar free products, dietary supplements, sports drinks and medications. Aspartame has been linked to many health symptoms, including those expressed as ADHD, anxiety, depression, irritability, confusion, memory loss, insomnia, dizziness, migraines, cramps, abdominal pain, numbness or tingling of extremities, rashes, chronic fatigue, and sight and personality changes.